Ashton started his financial advisory career in 2009. 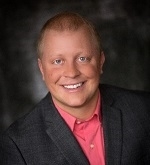 With a Bachelor’s degree in Marketing and a minor in Finance from Minnesota State Mankato, he always knew he wanted to become a financial advisor. He started the Belle Plaine, MN, office for Edward Jones and quickly recognized the need to operate as an independent advisor and an interest to own his own business. In 2013, he joined Waddell & Reed Financial Advisors in order to achieve those goals. Becoming an independent advisor was key to Ashton’s commitment to serving his clients in their best interests at all times. In 2017, Ashton joined KMF Advisors of Focus Financial to have more engagement with advisor colleagues and enhanced office support as he continues to expand his business offering comprehensive financial planning and investment management services. As an independent financial advisor, Ashton works with his clients to help them reach their retirement goals and take the emotion out of investing. He works with individuals, families, and business owners to ensure their financial plans and successions plans are tailored to their own individual needs and objectives. Within the financial planning process, Ashton reviews important factors to a successful plan, including life insurance needs, rollover IRAs at retirement, and business retirement plans.